This notebook contains 20 lined pages, has rounded corners and a taped spine. 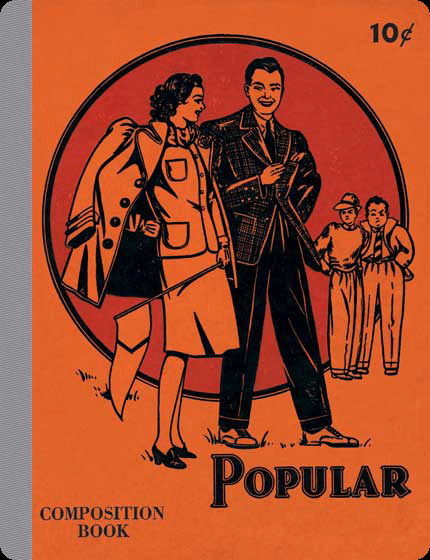 The cover features a popular couple, and reminds one of high school. Our American Notebooks feature authentic imagery and will evoke memories of bygone school days. Each is a reproduction of a vintage original. We think they will remind users of a simpler, and in some ways better, world.